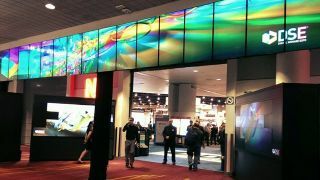 BrightSign has detailed its plans for Digital Signage Expo 2018 (DSE), which takes place March 28 and 29 at the Las Vegas Convention Center. The company’s media players will power demonstrations not just in its own booth (1728), but across the show floor and all over the Las Vegas Strip. This year BrightSign will again host a cocktail party at Top Golf alongside partners Chief and Epson. BrightSign is also a diamond sponsor of the Peerless-AV party at Drai’s nightclub, a venue in which BrightSign players power every one of the venue’s many dynamic screens. CEO Jeff Hastings will co-present a seminar exploring “Experiential Engineering in the Age of Digital Signage.” Hastings will be joined by Matt Neutra, manager of prototype demonstration and 3D Specialist at Bose, who together will discuss how new digital signage technology makes it possible to create lasting impressions via the emerging craft of experiential engineering. The seminar (DSE Session S2) kicks off at 9 a.m. on March 28 in room S224 directly following the opening keynote. Show attendees will be greeted by an array of 15 displays at the DSE entrance, all of which will be powered by BrightSign’s players. This marks the seventh time BrightSign has been chosen by DSE show organizers to power the DSE entry signage. On the show floor itself, BrightSign players will drive demos in dozens of partner booths. Notable companies using BrightSign’s players in their booths include Peerless-AV, Christie, Signagelive, Four Winds Interactive, Reflect Systems, Global Display Solutions, and NEC.